With the Mosso Pro Table Lamp, anything is possible. Touch the lens to change the light from cool to warm and anywhere in between. 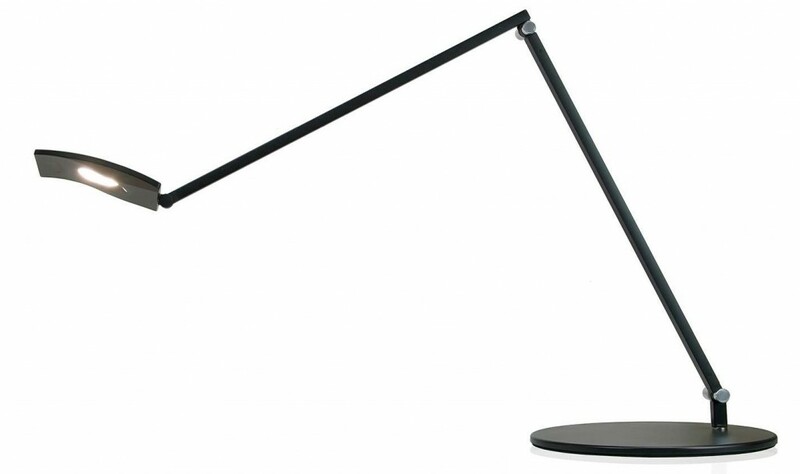 With highly adjustable arms and lamp head, you can point your light at any angle you desire. Simply slide your finger across the touch strip to dim the light, or turn the light on or off. A built-in occupancy sensor senses your presence. The sensor automatically turns the light off after 15 minutes of inactivity and resumes previous settings when you return. (This feature can be disabled.) A handy USB port allows you to charge your phone, tablet or an other USB device.